Slow Exposures, by far the best photography show in Pike County, Georgia, and rapidly becoming a major festival of Southern culture, opens this year on September 19th, for a two-weekend run. Slow Exposures attends to photography of the rural South and sponsors exhibitions, parties, panel discussions, dinners, a portfolio review, and so much, much more. It is "a wonderful confluence of dissimilar currents," as Andy Scott, a member of the Advisory Board, puts it. You can find the full schedule here. The heart of Slow Exposures is the juried show, this year featuring work by nearly sixty photographers, mostly from the South, including the work of Smyrna, GA's Mark Caceres (see image above). You can find the list of participants here. 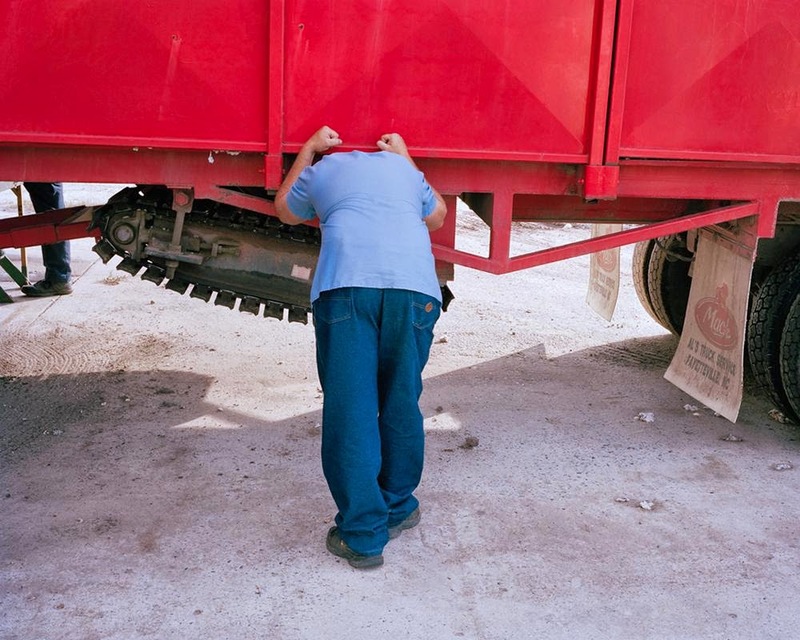 Jeff Rich, in a recent installment in the Oxford American's Eyes on the South series features work by many of this year's other winning photographers, here. There is also a Young Photographers show, here. Last year's recipient of the Conlan Prize for First Place in the juried show was San Francisco-based (but native of Laurinburg, NC) photographer McNair Evans (see image above), who this year will have a solo show of work from his Confessions for a Son portfolio. Slow Exposures is also serving as an inspiration -- and site -- for volunteer participants. 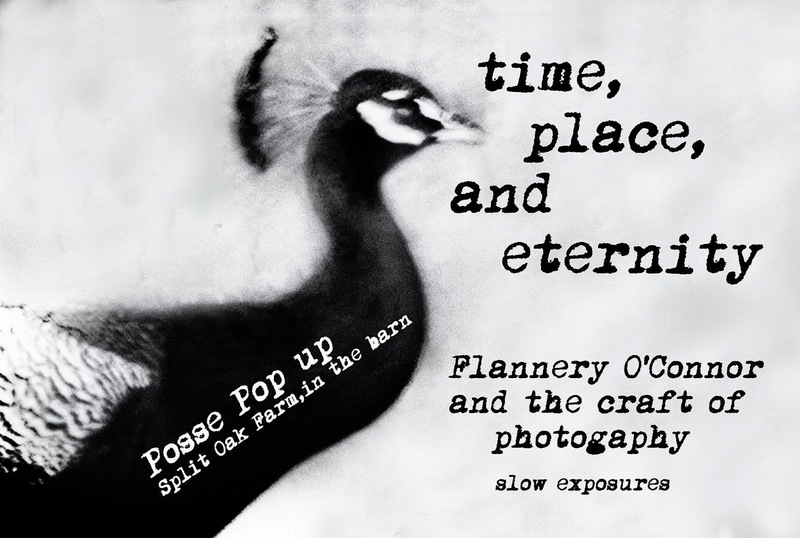 Chapel Hill's irrepressible Lori Vrba, along with her friends Anne Berry, Ann George, Bryce Lankyard, and S. Gayle Stevens (aka the Pitchfork Posse) plan a pop-up show, opening in a barn at Split Oak Farm in Zebulon, GA, in honor of Georgia native Flannery O'Conner on the 50th anniversary of her death. Called "Time, Place, and Eternity: Flannery O’Connor and the Craft of Photography," this show will explore O'Conner's ideas about grace, mystery, manners, gesture, and habit and their implications for photography. This is the second year these folks have created an installation at Slow Exposures, following last year's installation Hay Now. You can get a feeling for last year's triumph Hay Now, and an idea about what to expect this year, in the video below, which is well worth a look. Much to look forward to, this year, as always, at Slow Exposures!